The Cadiz (-8 this Friday), Sergio, Campillo and Arnaus are in the top-20 after the second round of the Desert Classic, led by DeChambeau and Herbert in -12. Larrazabal, also in the ointment. The Spanish Armada has emerged in the Desert Classic of Dubai led by Álvaro Quirós. El Guadiaro, after a discreet start in season, delivered a sensational card of -8 in the second round at the Emirates Golf Club (par 72) for a total of -11, which place him in second place tied with the South African veteran Ernie Els, even with enough golf to compete with the best of the European Tour. Líderes are the North American Bryson DeChambeau, number five in the world, and the Australian Lucas Herbert, both in -12. El gaditano, who started with bogey, handed a card with nine birdies, three followed in the last three holes, supported by a great performance with the putt, which he explained later in statements to Ten Golf: "I have been working the position from Valderrama with Pepín (Rivero) and Chema (Olazábal) and I have continued doing it, especially with the recognition of Chema, who has told me that I am on the right track and that is already a lot ". Behind, near, Quirós has three others Spaniards: Sergio García, Adri Arnaus and Jorge Campillo. The one of Borriol, more stopped than Thursday (hit 66 blows for -6), made three birdies and a bogey for two under par. Arnaus repeated the return of 68 and Campillo, after a -3 without failure on the first day, stretched with six birdies, five in the first nine holes, and a bogey for -5. Something further, at -6, is Larrazabal, the last Spaniard who made the cut with another great lap, of -6 his, with nine birdies and three bogeys. 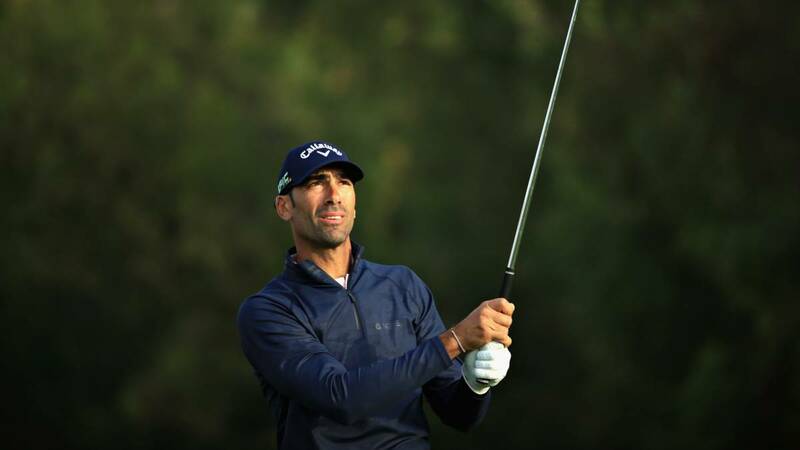 Adrián Otaegui will not be in the weekend, with 70 hits this Friday and -2 in the accumulated, which was a stroke of crossing the border; Rafa Cabrera Bello, who pays a first erratic day in which he made +3 and leaves with a total of -1 after his 68 shots this Friday; Nacho Elvira, with two days of 72; Fernández-Castaño, in +2; Miguel Ángel Jiménez, with the same result, and Olazábal, with +6. .1. Lucas Herbert (AUS) (69 + 63) 132 hits.